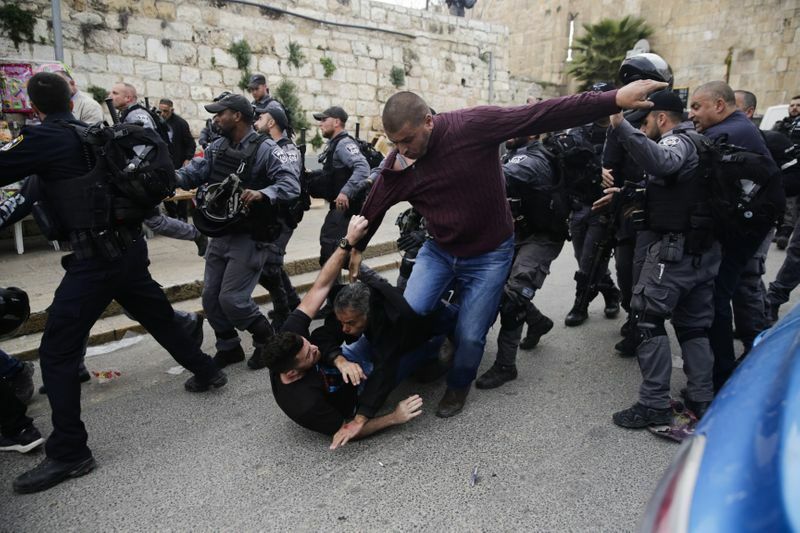 Dubai: Tension and clashes between Israelis and Palestinians has escalated in the past few weeks surrounding the Israeli closure of the Golden Gate or Bab Al Dhahabi at Al Haram Al Sharif. 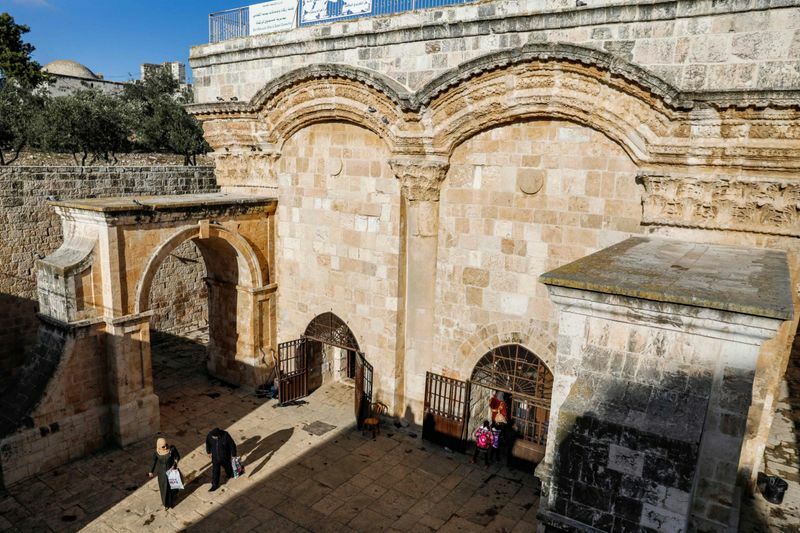 On Sunday, an Israeli court ordered the “temporary closure” of the holy building. Jerusalem Magistrate’s Court was quoted as saying that building, which is under the administration of the Islamic Awqaf, should be closed “while legal proceedings continue”. The Israeli court gave the Islamic Awqaf 60 days to respond. Israel closed the building in 2003 claiming a Hamas link to the building, and barred Muslims worshippers from entering the building recently, upsetting Muslims. Last week, Israeli forces closed the gates of Al Haram Al Sharif, sparking clashes with Palestinians. “Dozens of Israeli soldiers stormed Al Haram Al Sharif and assaulted a number of religious figures,” Firas Al Dibs, a spokesman for the Jerusalem Islamic Waqf, a Jordan-run organisation responsible for overseeing the city’s Islamic sites, said in a statement. He said Al Aqsa mosque director Shaikh Omar Kiswani and Shaikh Wasef Al Bakri, the acting supreme judge of the Islamic Courts of Occupied Jerusalem, were among those attacked by Israeli police. He said Israeli forces attacked with batons dozens of Muslim worshippers near the Dome of the Rock mosque in the compound. “At least five Palestinians were arrested and taken into custody for investigation,” Al Dibs said. A funeral was reported to be barred from entering also the Mosque and was attacked by Israeli police. The Sunni world’s top authority, Al Azhar, condemned Israel’s closure of Al Aqsa Mosque and its attack on Palestinian worshipers. Tension has mounted in Occupied Jerusalem since last month, when Israeli police sealed off the Al Haram Al Sharif’s Al Rahma Gate, located adjacent to the eastern wall of the Old City, sparking angry Palestinian demonstrations. In the weeks since, the Israeli authorities have banned scores of Palestinians—including religious officials—from entering the Al Aqsa. Palestinians, chanting Allahu Akbar (God is great) clashed with Israeli soldiers and were able to reopen the site despite the area being sealed off by Israeli police. Days later, an Israeli occupation soldier, insisted on entering Al Haram Al Sharif while wearing his shoes. A video of him trampling over Muslim prayer rugs inside the holy site, despite the worshipers’ objections, went viral causing uproar among Muslims. This led to clashes between Palestinians and Israeli occupation soldiers and several Palestinians were arrested. Palestinian analysts say there are some extremist Israeli groups that do seek provocation. “It is clear that there are many provoking individuals within the Israeli groups that are visiting Al Haram,” said Rami Nasrallah, director general of occupied Jerusalem East Jerusalem’s International Peace and Cooperation Centre think tank. “The behaviour of the Israeli soldier who entered the Masjid with his shoes on was very provocative,” he told Gulf News in an interview. “I believe the incitement is coming from the colonial groups and those who are escorting them, the police”. The upcoming Israeli elections in April is also fueling the tension as Israeli Prime Minister Benjamin Netanyahu has cozied up to extremist and far right Jewish groups. Israel, being the stronger party, has consistently provoked Palestinians. However, under the US administration of Donald Trump, considered to be the most pro-Israeli in US history, Israel has escalated its provocations including expanding its illegal colonies on Palestinian land. Under Trump, the US has moved its embassy from Tel Aviv, to Occupied Jerusalem—breaking with decades of US policy. It has also removed references to the West Bank, Jerusalem and the Golan Heights as being ‘occupied’. However, regardless of US steps towards normalising Israel’s occupation of Palestinian land, the Palestinian people will continue their struggle for statehood and human rights. Professor Yossi Mekelberg, International Relations professor at Regent University in London, and Senior Consulting Research Fellow, Middle East and North Africa Programme of the London-based Chatham House think tank, told Gulf News that it is doubtful Israel will get what it wants. “I think it would be very naïve and irresponsible to think that the Palestinians would give up their right to Jerusalem, as their future capital, even if only on some parts of it. This is not something that anyone could or should expect,” he explained to Gulf News. Israel sees a united Jerusalem as its eternal capital while Palestinians want Occupied East Jerusalem as the capital of its future state. 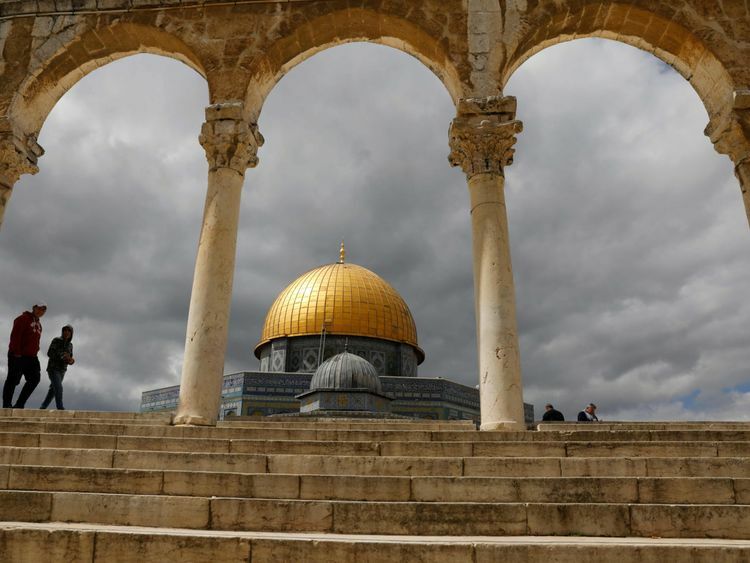 To think that the fate of Occupied Jerusalem is a done deal in favour of Israel, while ignoring the Palestinian claim, is “a recipe for future unrest,” said Mekelberg. Any spark in occupied East Jerusalem would not only lead to tension, but also to violent and bloodshed, warned analysts. Palestinians have proved readily willing and determined to sacrifice their lives in order to protect their claim to the holy site.